Leebotwood's parish church (St Mary's) dates from the 12th century and is a plain and simple building in comparison to its many neighbouring churches, including Church Stretton's St Lawurence's Church. 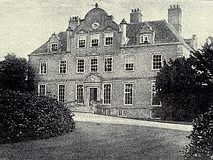 It is the burial place of the Corbett family of Longnor Hall, the local lords of the manor. A valley between Leebotwood and Caer Caradoc was important as a thoroughfare dating right back to Roman times. 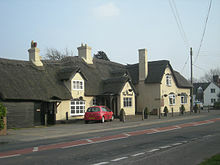 The eastern boundary of the village was formed from the ancient route of Watling Street which is still visible today. 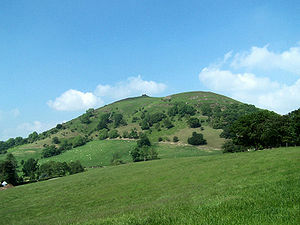 Caer Caradoc to the south of Leebotwood rises to a height of 1506ft and is said to be one of the last strongholds of the native chief "Caradoc" or "Caractacus" who held out against the Romans. Longnor is a village and civil parish located just off the A49 road south of Dorrington and north of Leebotwood in Shropshire, England. With a population of 289, Longnor is a relatively small village, the nearest train station is 4.7 miles away in the town nearest to the village of Church Stretton. 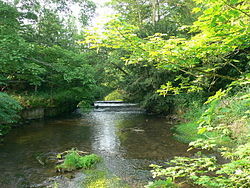 The Cound Brook, a tributary of the River Severn flowing from the All Stretton area and entering the Severn near Cound, flows just to the west of the village and the medieval deer park. 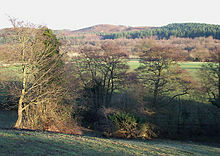 The village is notable for its medieval deer park, as well as the famous Shropshire ghost, the White Lady of Longnor. The village is also home to Longnor Hall and St. Mary's Church a grade 1 listed medieval church. Regional Cycle Route 32/33 passes through Longnor, on its way fromLittle Ryton to All Stretton. As do a couple of bus routes on their way from Church Stretton to Shrewsbury and Radbrook Green. There is a primary school, Longnor CE Primary School, in the village. The White Lady of Longnor is one of Shropshire's most famous ghosts. She appears clothed in her long white wedding dress. Her haunt is on or near the road bridge near the village, she is thought to have thrown herself from the old bridge into the water below after being deserted at the altar. She is rumoured to stand staring at the water as it flows beneath her feet. There are various accounts of what she appears to do, one is that she will drift eerily through the parapet of the bridge and fall slowly into the stream then fade away. Another claims that she attends village dances and parties.